“The paradise in this earth”, this is the best description for this place full of lakes and mountains, green forests and hidden falls. You have many options: snow in winter, rafting in summer, and beautiful navigations all the year. 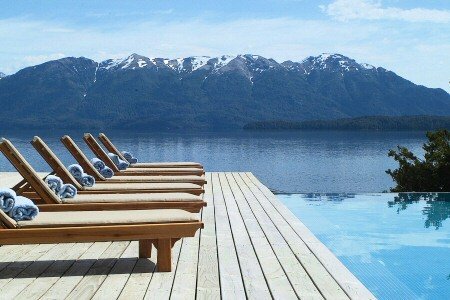 The landscapes will make you feel you are living in a dream. Your pictures will tell it´s true. 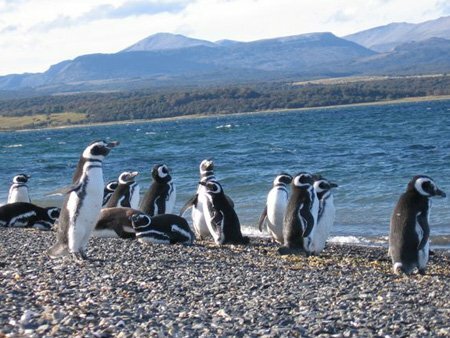 Whales and penguins, patagonic plateau, the Peninsula de Valdés with its amazing wildlife reserve that was declarated Human Resource by UNESCO. 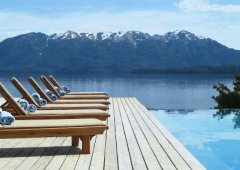 This beautifull Patagonia Atlantica is waiting for you to show you life how it used to be. 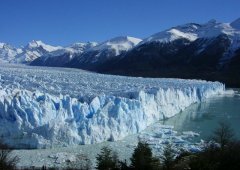 The main Patagonian icon, the Perito Moreno Glaciar, Natural Human Resource, invites you to see its magnificence in this corner of Patagonia. 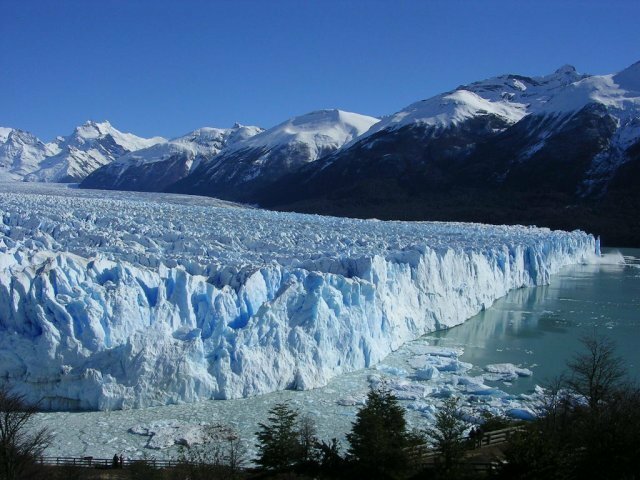 To walk on the blue ice, navegate through the Argentinian river to have a closer sight of the big ice rivers, like the Upsala and the Spegazzini, or to go in a small cruise ship to spend the night in the middle of the Parque Nacional Los Glaciares. 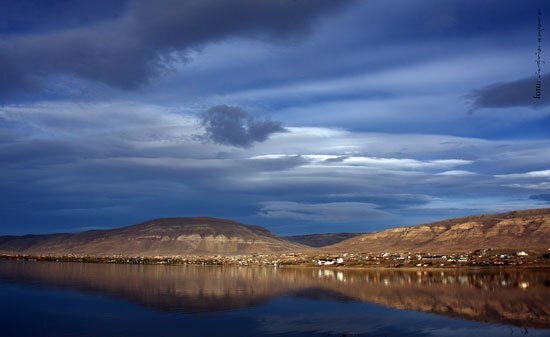 El Calafate lays on the southern shore of Argentino Lake, 315 km away from Río Gallegos, capital city of the province of Santa Cruz, and 80 km away from the entrance to Los Glaciares National Park. Located on a steppe landscape, visitors are admired because of the size of its views, the turquoise colour of the Argentino Lake, and its vegetation, typical of a desert region. 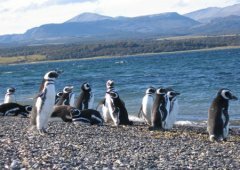 It is inevitable to visit the National Park without first taking a view of El Calafate, as it is the last habited place before entering the National Park. 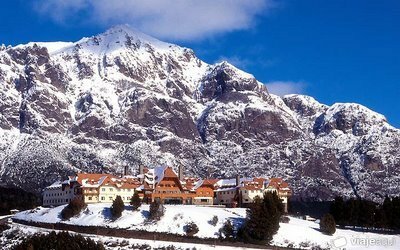 Its structure is exclusively dedicated to render touristic services, with its many hotels, transport and excursion services, typical gastronomy, and sale of regional products and handicrafts all over the country. This place was born as wagons stop, in the times when this region was only inhabited in order to rear sheep and sell their wool. As time went by, wool's international prices made this business less attractive, and the village started losing its interesting features. 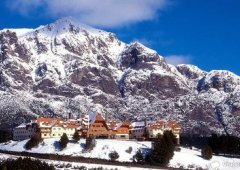 By 1938, the southern continental ice region was declared National Park From that moment on, this place started being visited by people from all over the world, and El Calafate started rendering a better service to the tourists.More History & Legends. 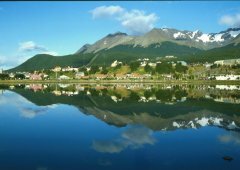 In the end of the world, in the mythical Tierra del Fuego, with its lakes, forests and mountains. 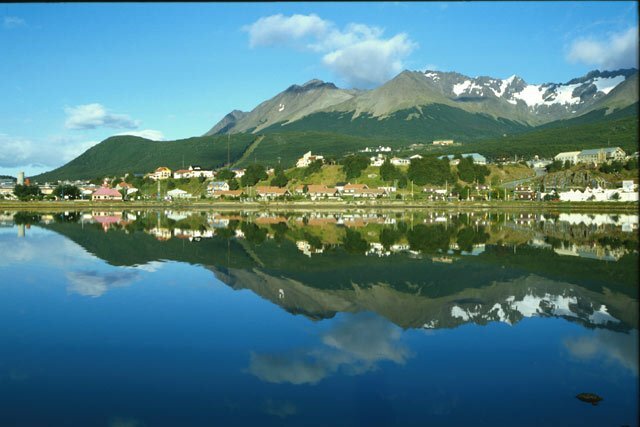 It is also the closer city to the Antártida. 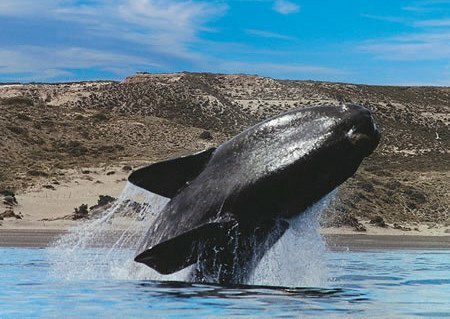 Exclusive expeditions will take you to do trekking to the Parque Nacional, to navigate in small ships or canoes. The end of the world experience will stay with you longer after your return home.